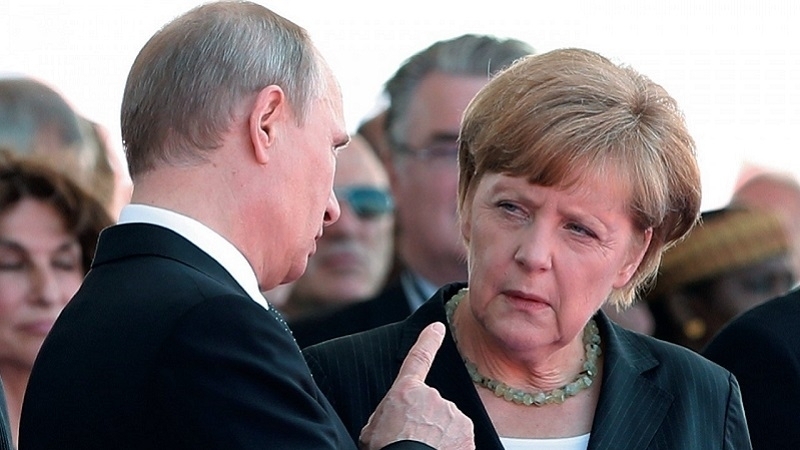 In a conversation with Merkel, Putin admitted the extension of peacekeepers’ functions in the Donbas. In a telephone conversation, the German Chancellor and the Russian President discussed the UN mission in the east of Ukraine and the conflict with North Korea, Deutsche Welle reports. The telephone conversation between German Chancellor Angela Merkel and Russian President Vladimir Putin took place on Monday, September 11. The officials discussed ways to resolve the conflict with North Korea and the Kremlin's proposal to introduce a UN mission in the Donbas. “The Federal Chancellor in general welcomed Russia’s proposal of deploying U.N. peacekeepers to address the Ukraine crisis, but stressed that the proposed mandate needed to be expanded," said official spokesman Chancellor Steffen Seibert. According to him, the Russian President "reacted positively and agreed to lift those restrictions on the planned UN mission, according to which it had to act only on the line of contact." The "Blue Helmets" of the United Nations should provide greater security for OSCE staff wherever they have to perform their duties under the Minsk Agreements. A statement on the website of the President of the Russian Federation specially indicated that telephone conversation was held on the initiative of the German side. It is further indicated that the Kremlin is ready "to supplement the functions of the said UN mission proposed in the Russian draft resolution to the Security Council" in the Donbas - ensuring the protection of OSCE observers can be carried out everywhere where they conduct their inspection trips. Also, in the conversation, the parties "strongly condemned Pyongyang's disregard of the resolutions of the UN Security Council", which creates "a serious threat to regional peace and security".